You are invited to the annual Earth Observation Day celebration in Durham 248 from 11am to 1pm on Thursday, October 12, 2017. From 11am-12pm, we will be having a mapping event focused on humanitarian mapping projects in areas hit by recent natural disasters. 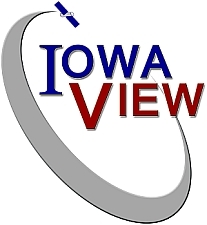 Bring your lunch and stay from 12-12:30, we will have a guest lecture from Daryl Herzmann about the Iowa Environmental Mesonet, a website which collects and displays environmental data for Iowa from various sources including Iowa Flood Center, Iowa Department of Transportation, National Weather Service, and Iowa State University – Agronomy. Read more about the Iowa Mesonet here: https://www.extension.iastate.edu/article/iowa-environmental-mesonet-data-used-thousands-every-day. Please come and go as you are able. If you are interested in joining us, please fill out the RSVP form (https://goo.gl/forms/SVLH4qhWDqJvfPD03) so we can plan for computer space and chairs. Please spread the word. Thank you, I hope you can join us!